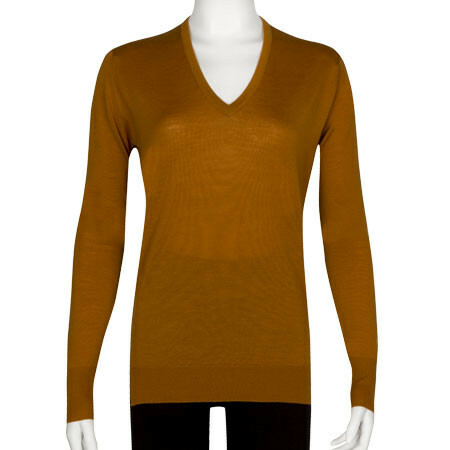 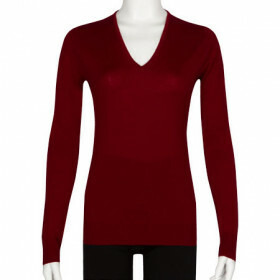 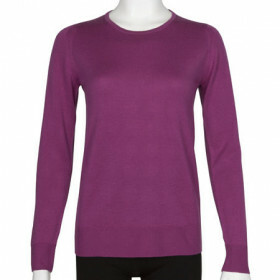 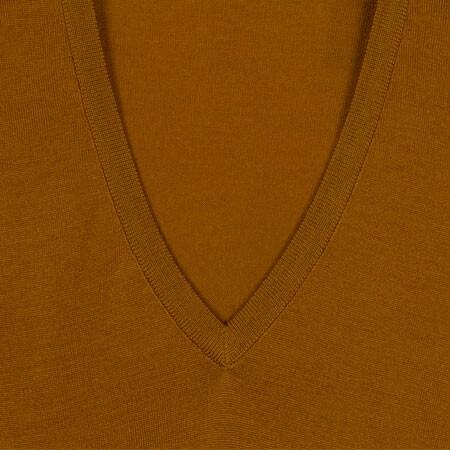 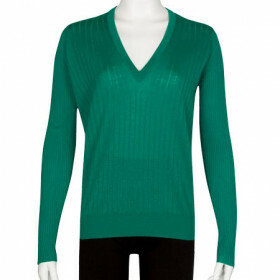 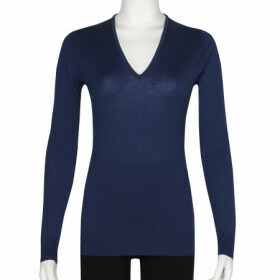 This lightweight low v-neck sweater is perfect for layering or wearing alone. 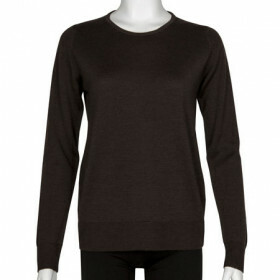 The deep ribbed cuffs give the piece a refined look whilst the open rib hem adds a unique touch. 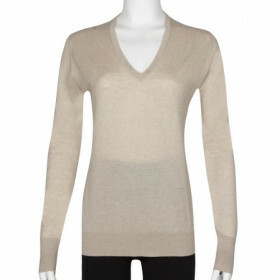 Available in a multitude of stunning shades, this sweater will go with anything and everything.